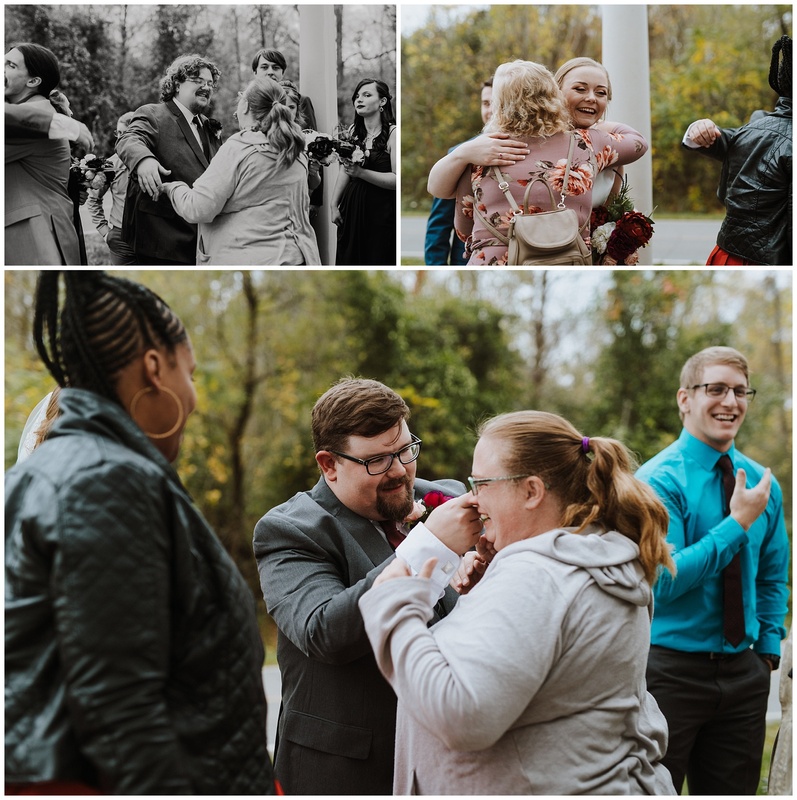 I get to work with so many incredible people at this job; something I don’t take for granted at all. 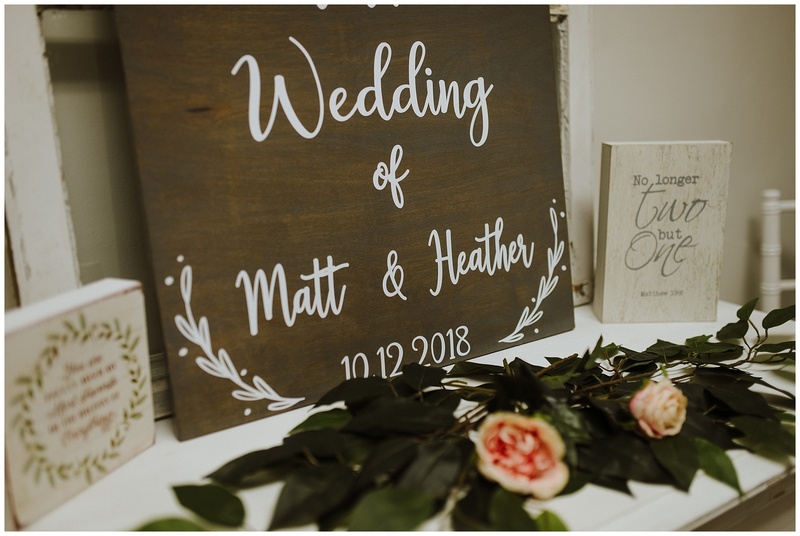 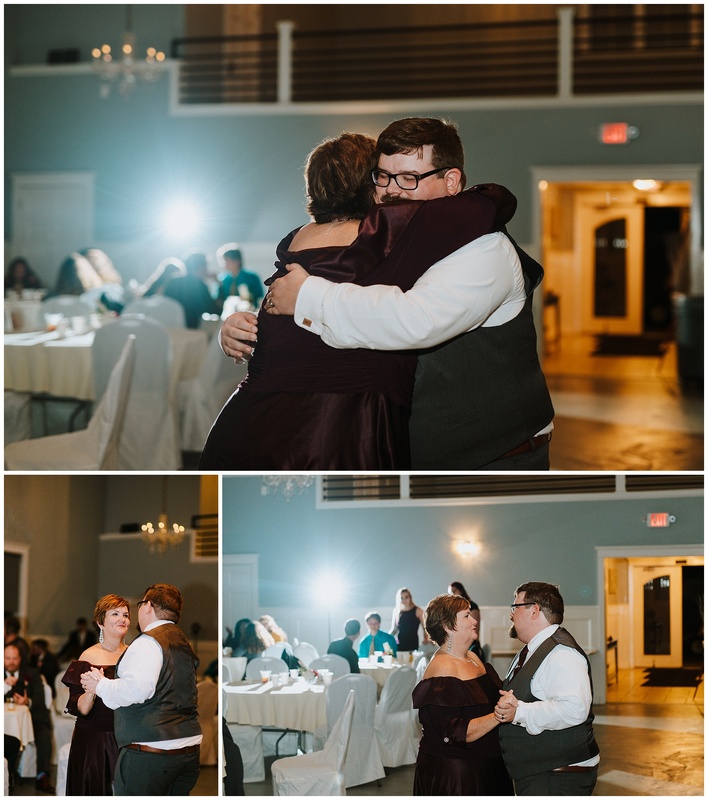 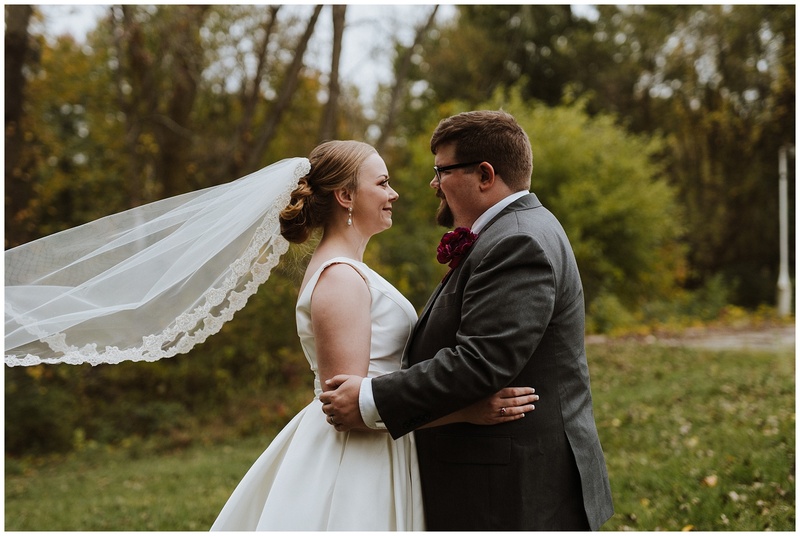 I truly loved working with Heather and Matt for their Graham Banquet Center wedding last October. 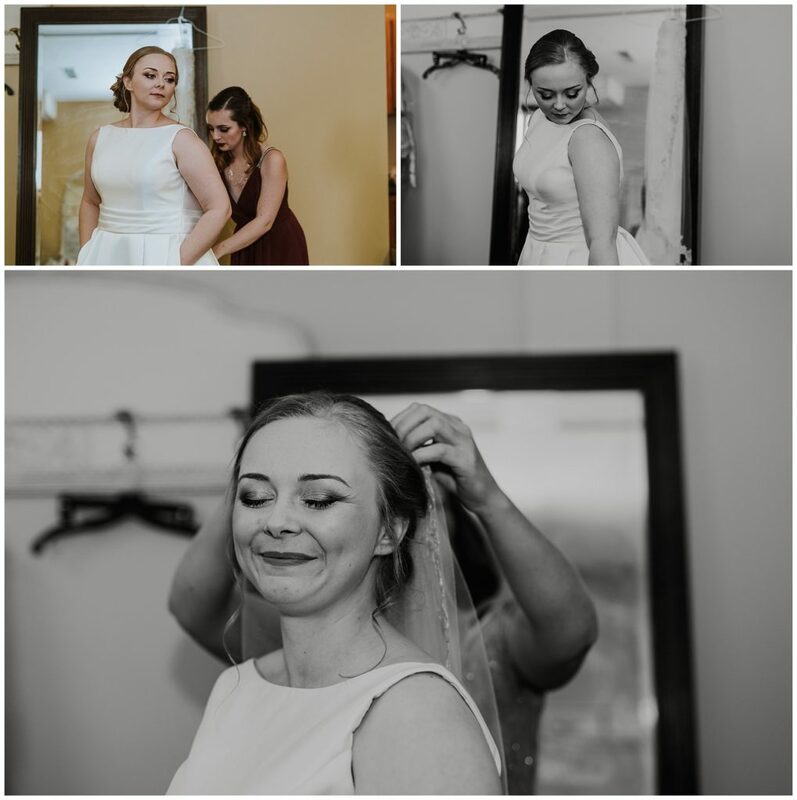 Many people get wrapped up in what a wedding should be like or should feel like instead of just enjoying it. 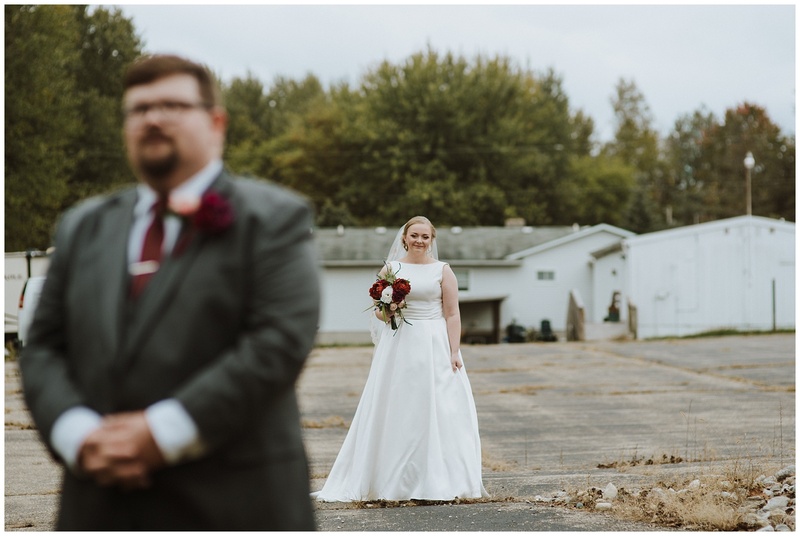 I didn’t feel that way about these two. 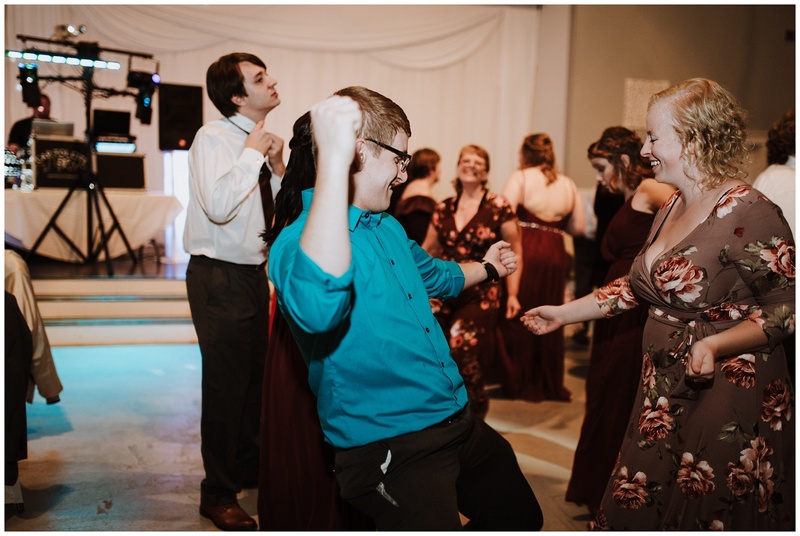 Heather, cool as a cucumber, seemed to know exactly what was important on the day of: spending time with Matt and the people gathered together to celebrate THEM. 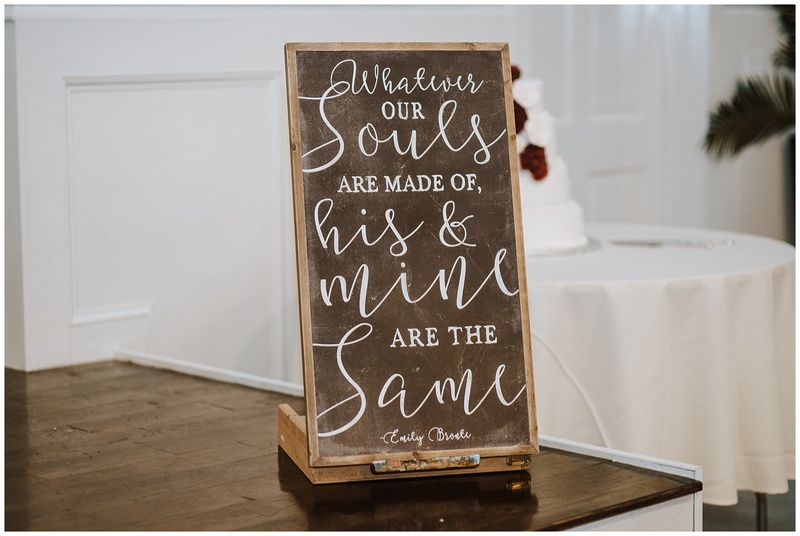 That’s exactly what a wedding should be. 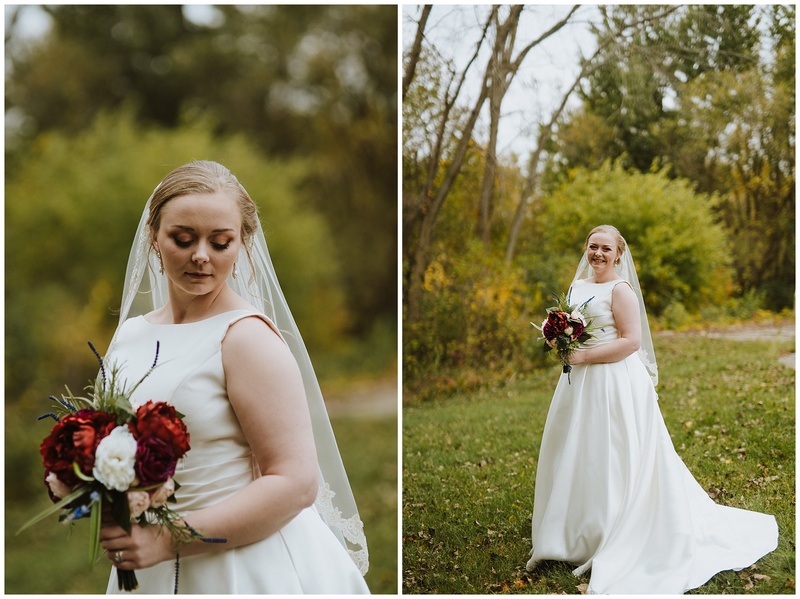 We didn’t get beautiful sunshine or a golden hour, but the fall colors were just starting to peek through and with all the rain we had last October, we were simply lucky. 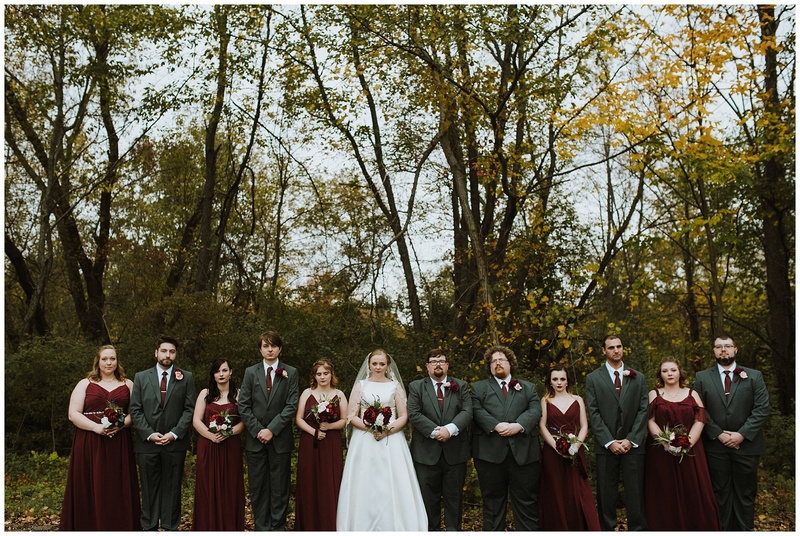 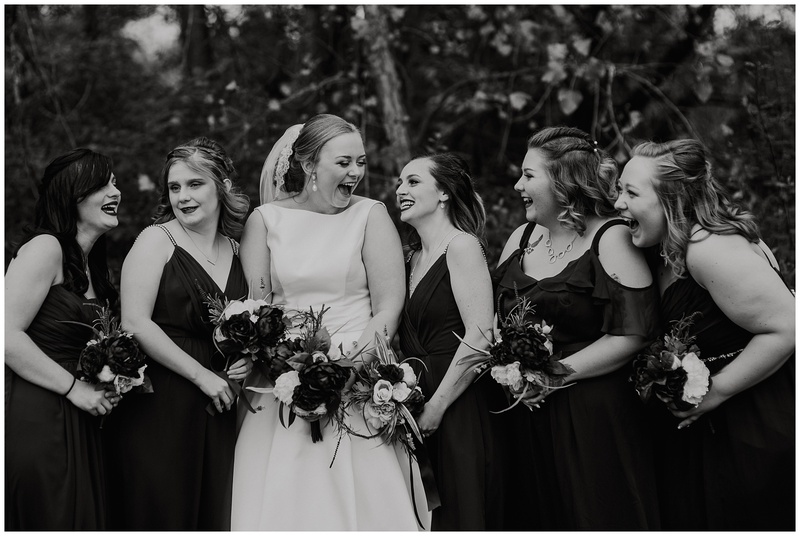 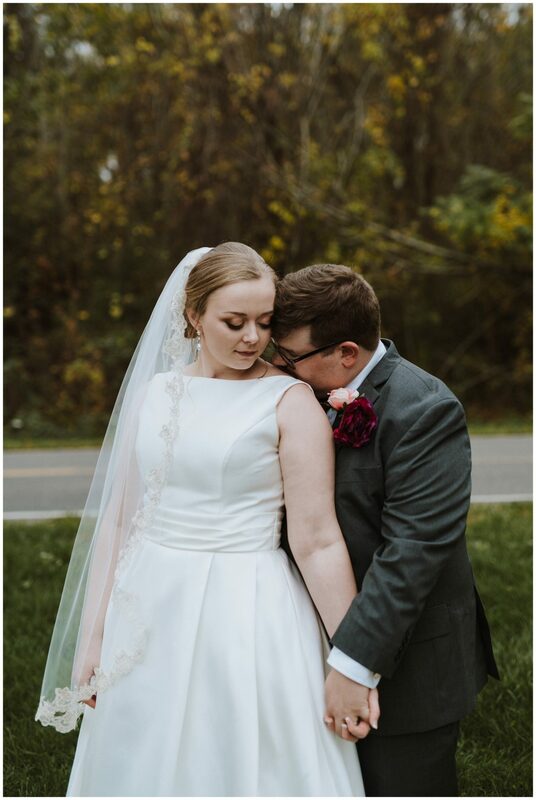 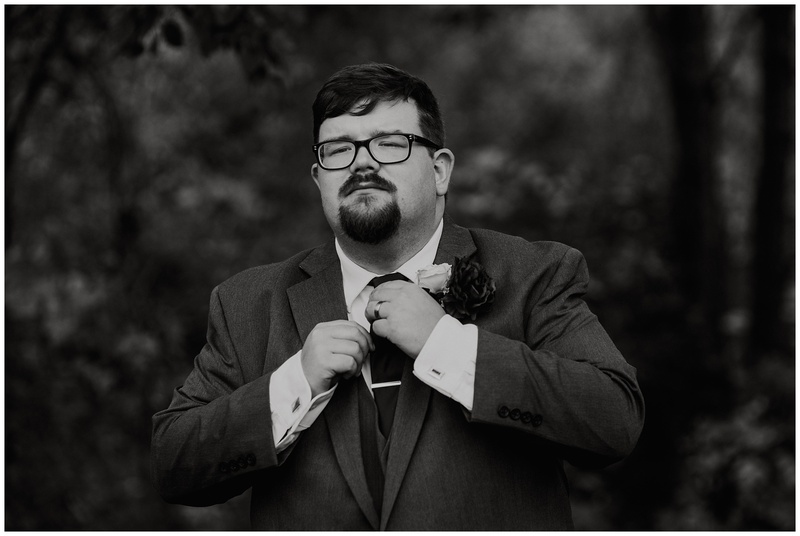 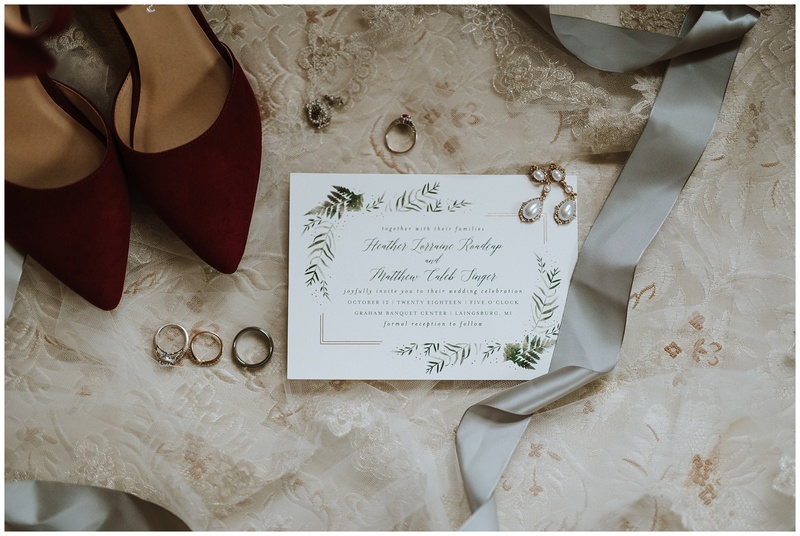 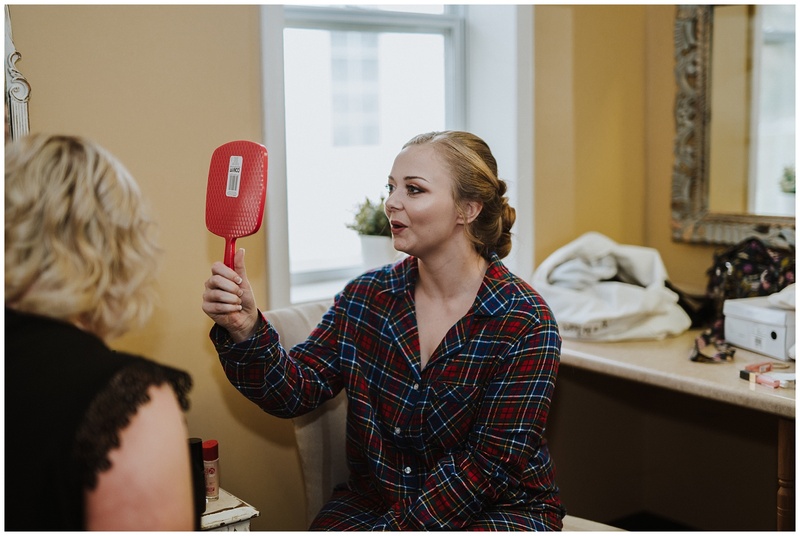 There was a first look that almost brought me to tears (how could I not when Heather literally was Audrey Hepburn stunning) and a fun portrait session with the bridal party right on the grounds. 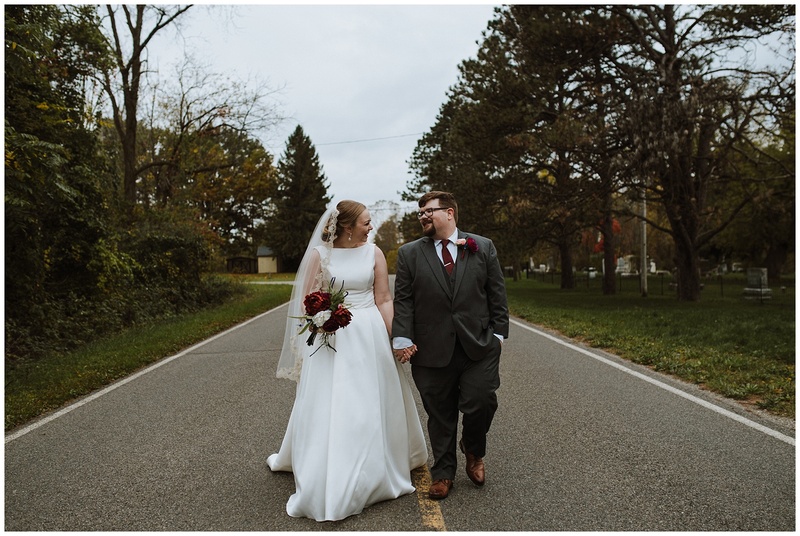 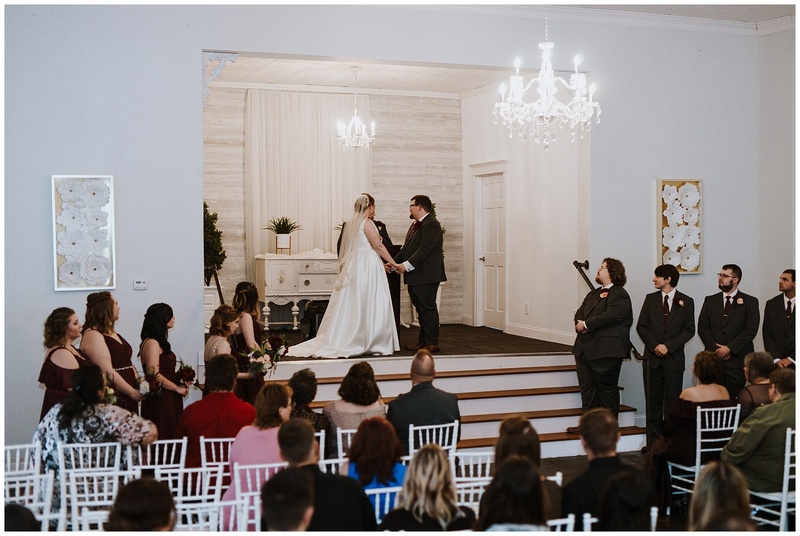 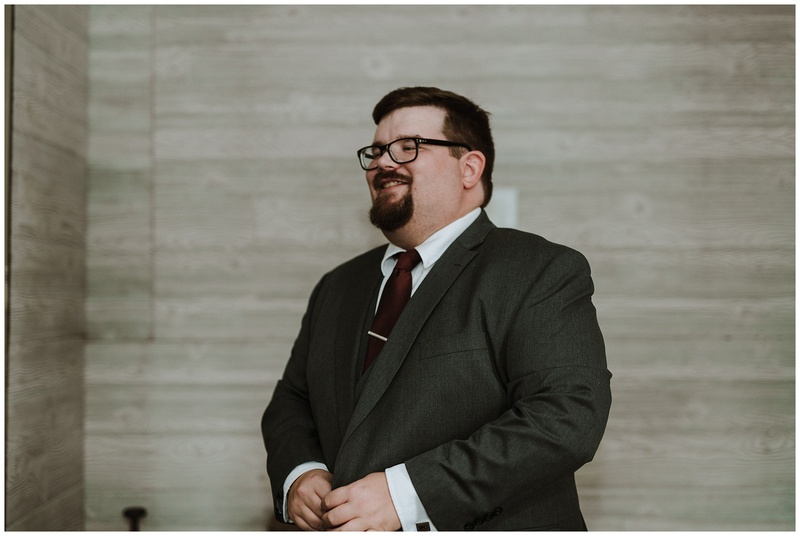 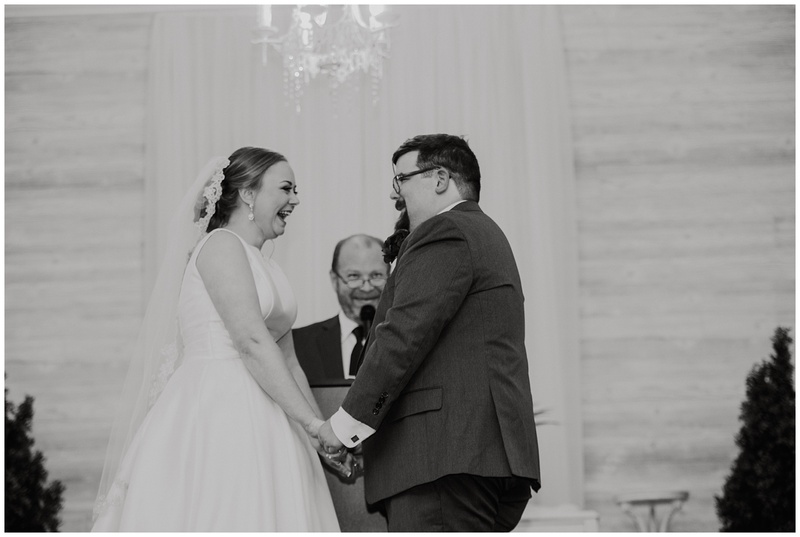 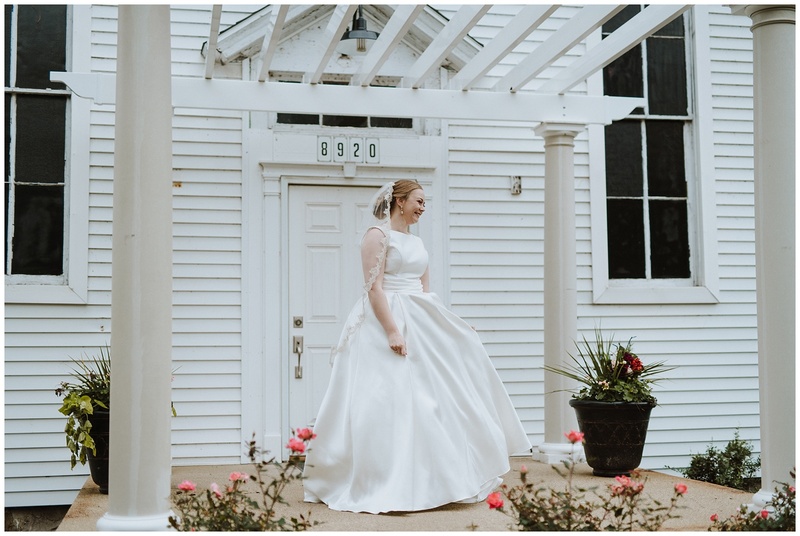 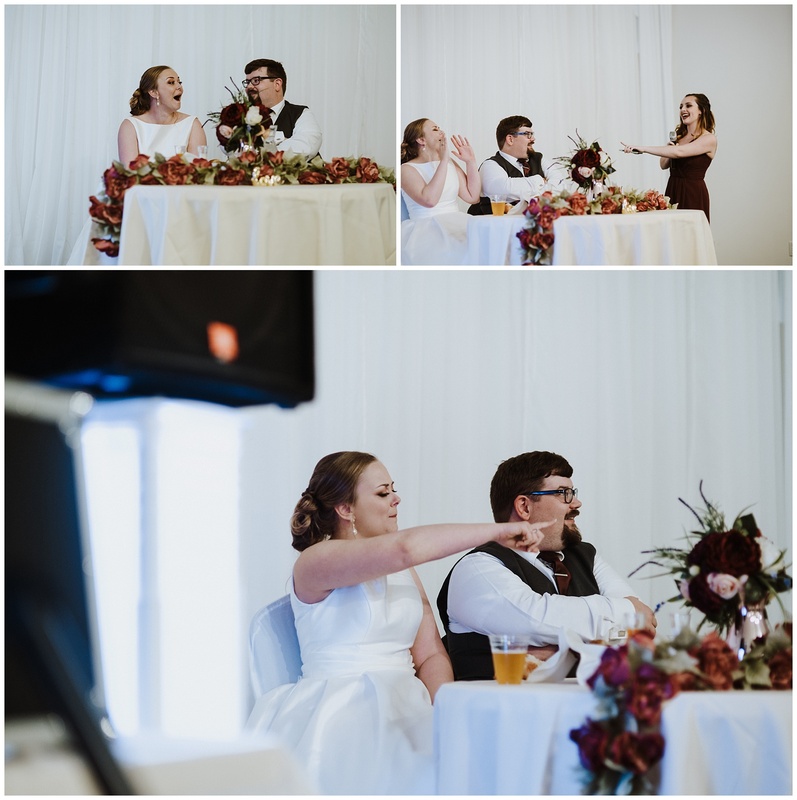 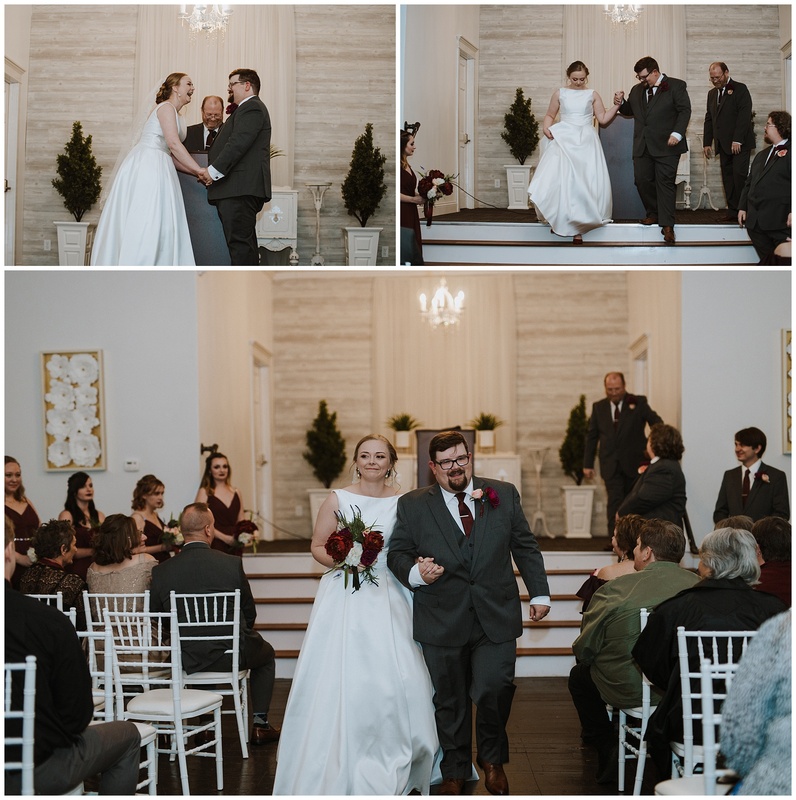 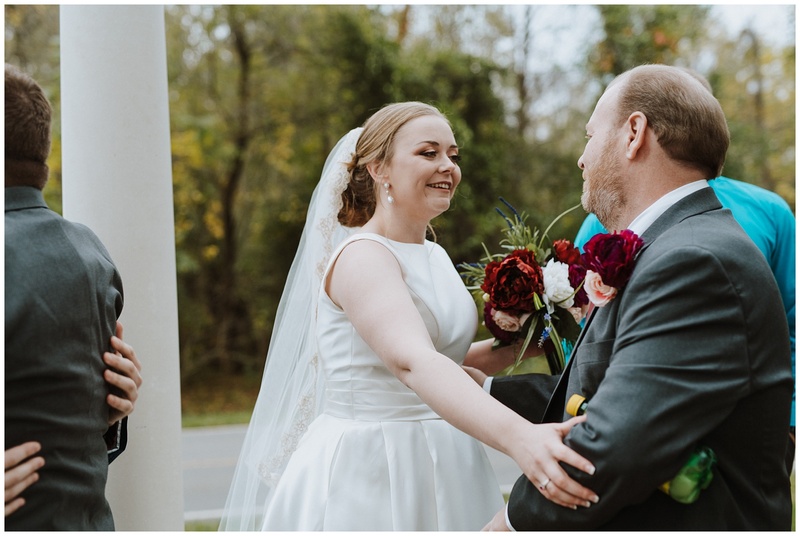 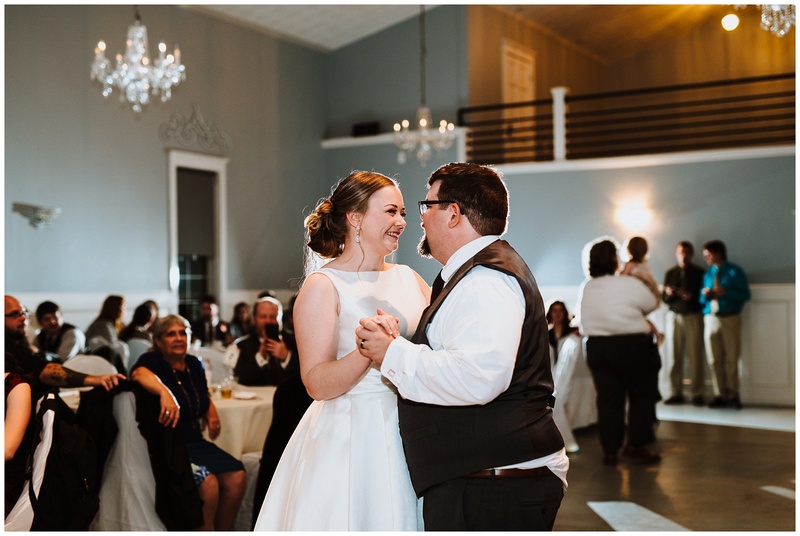 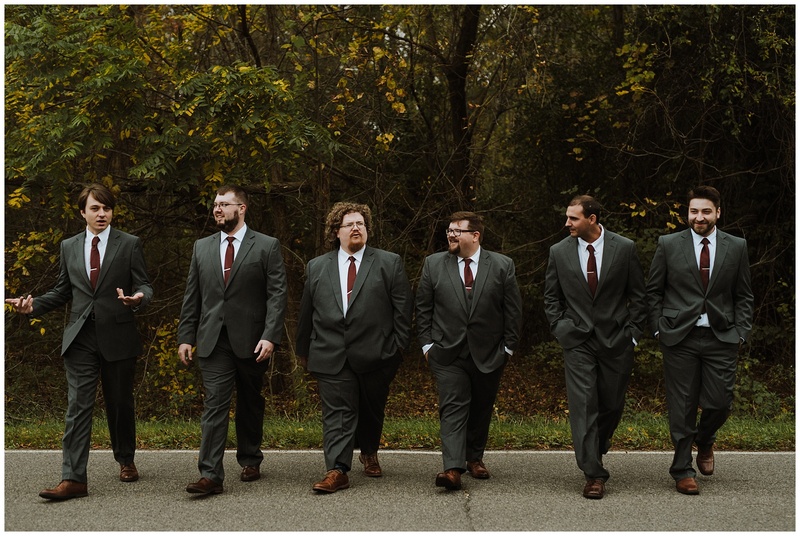 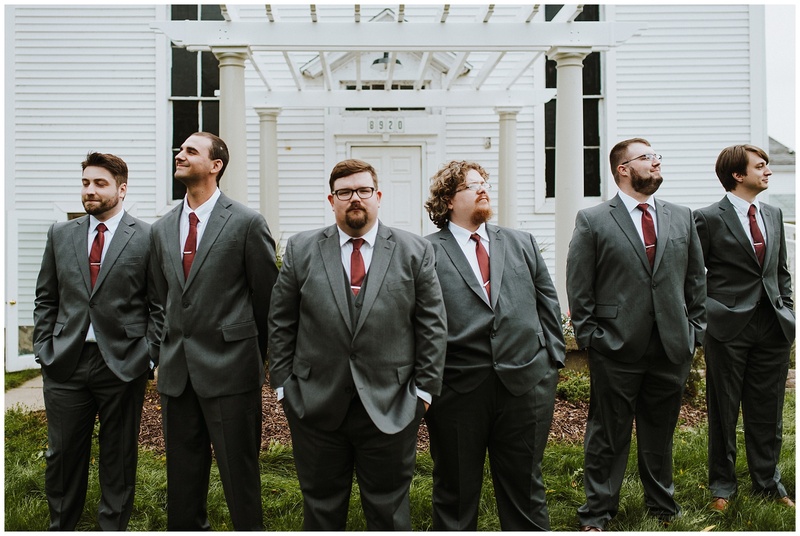 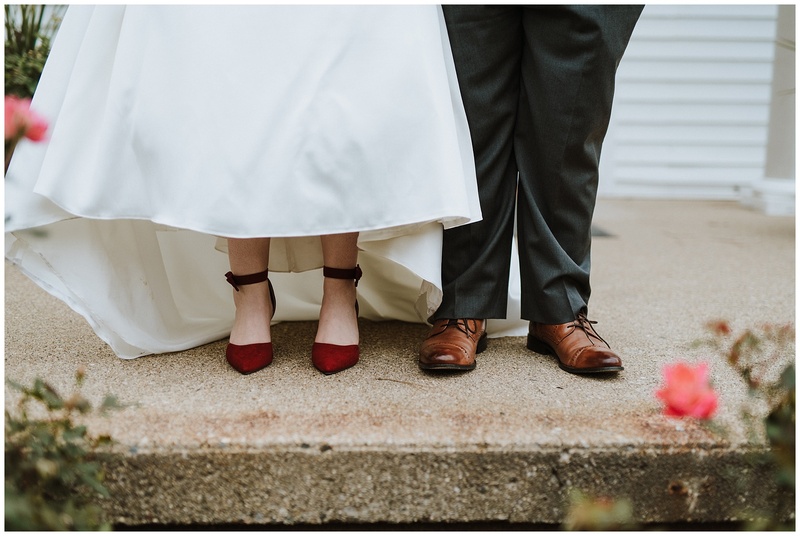 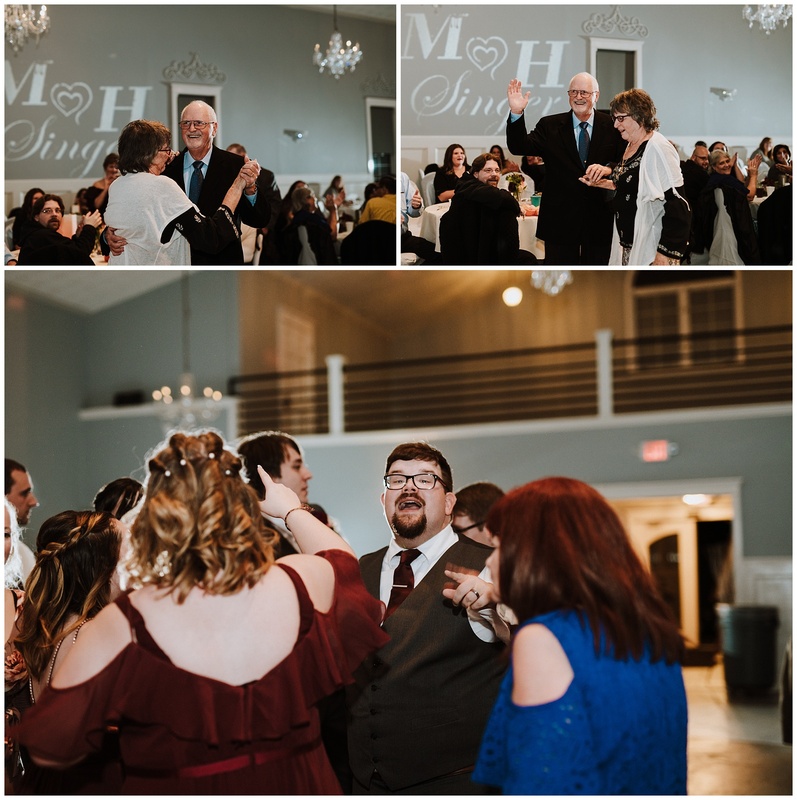 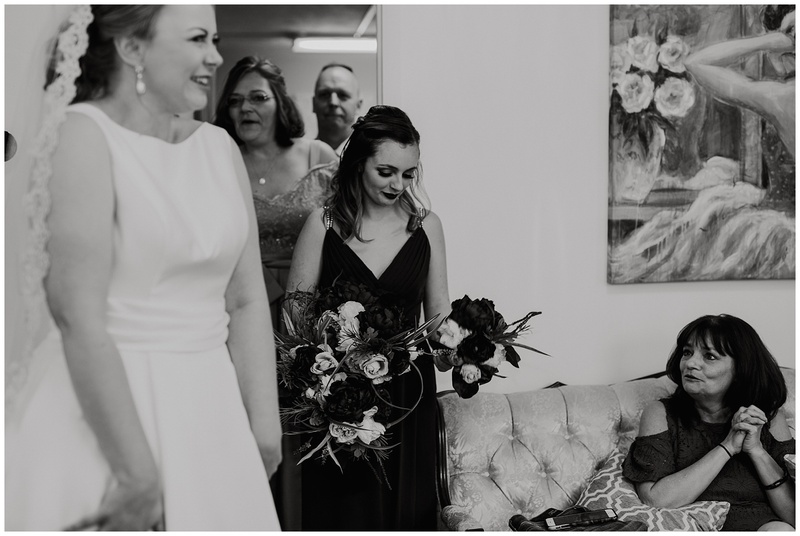 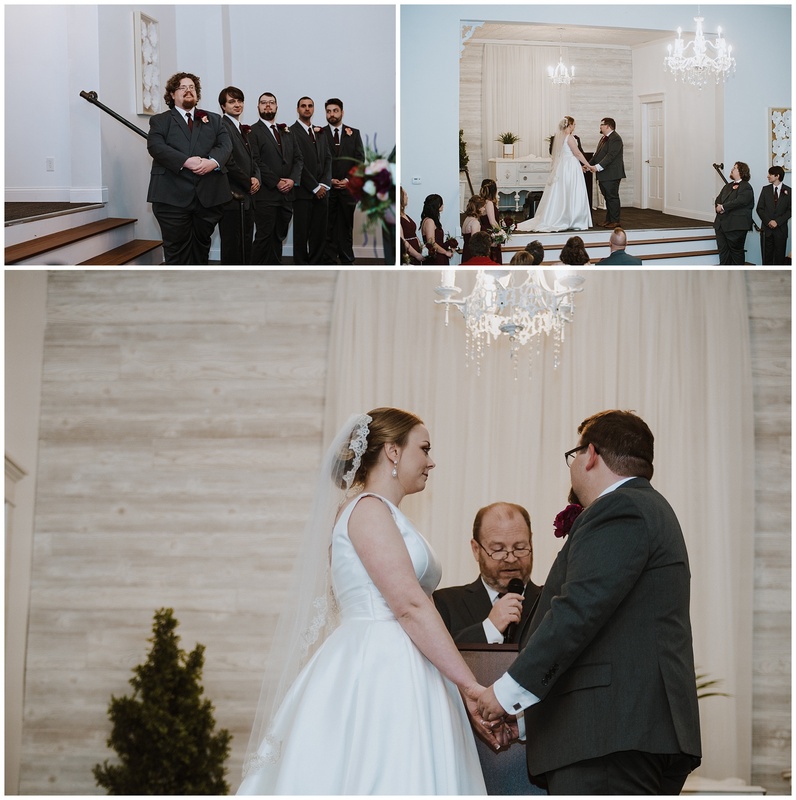 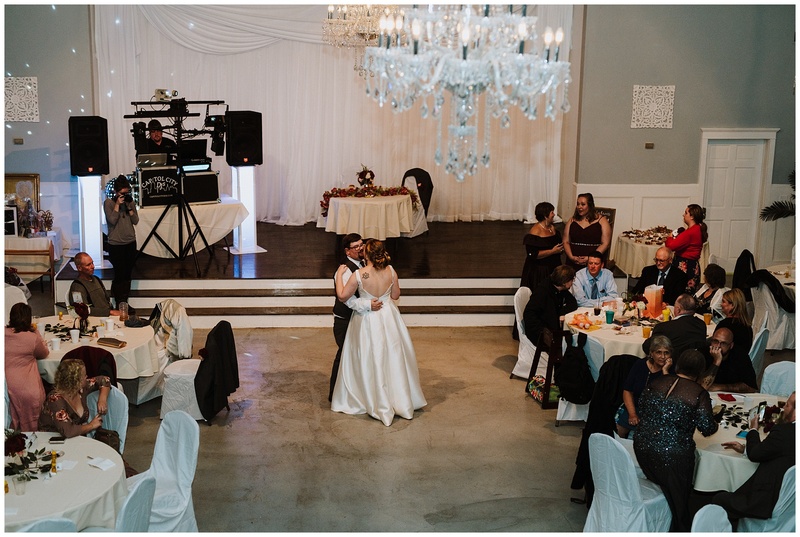 After a beautiful, personal ceremony in the chapel at Graham Banquet Center, their reception was held at the same place…we literally didn’t leave the premises all day long. 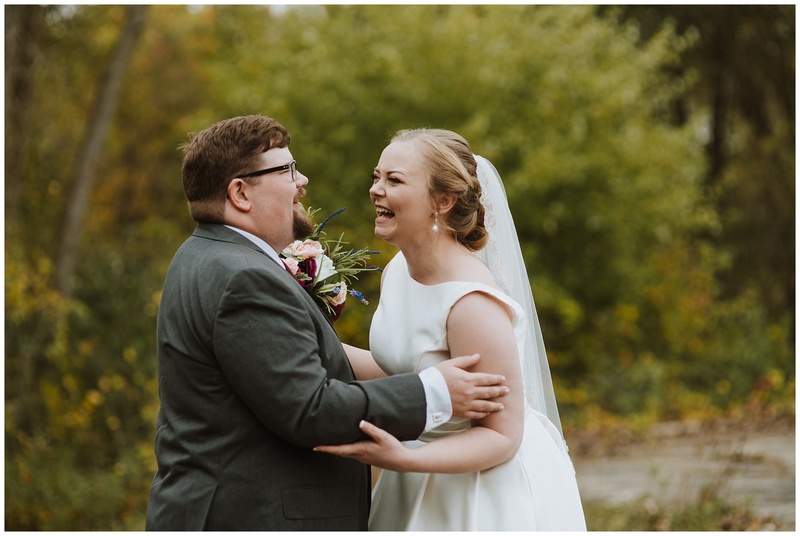 When I agreed to photograph Matt and Heather’s day, I agreed that I too would have fun. 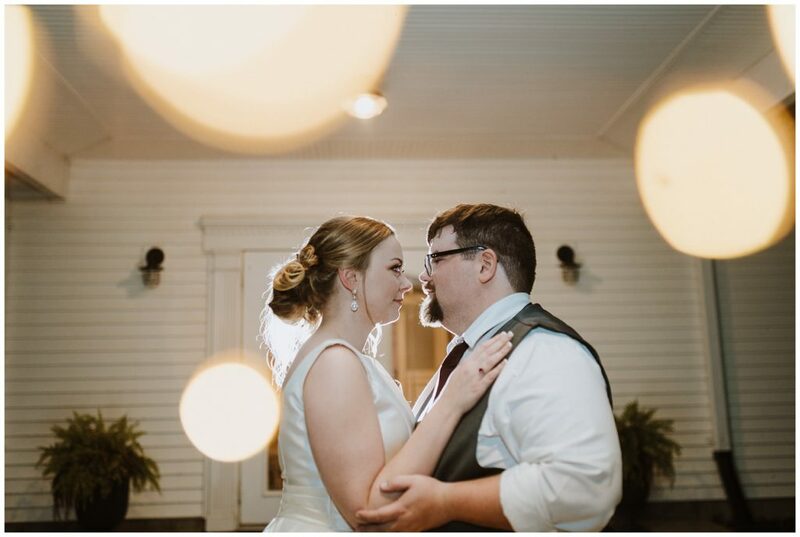 And I did. 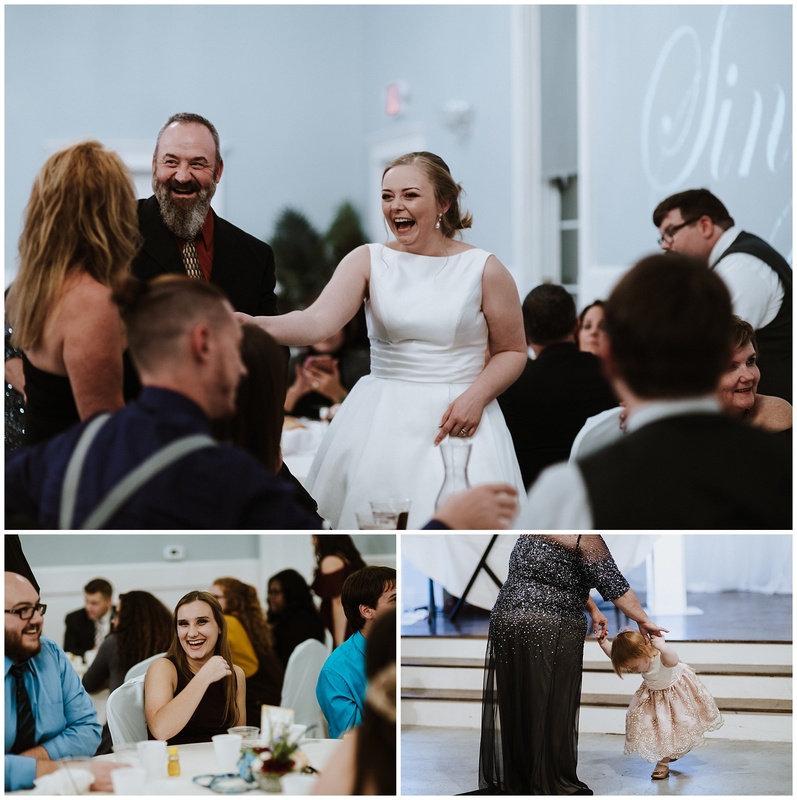 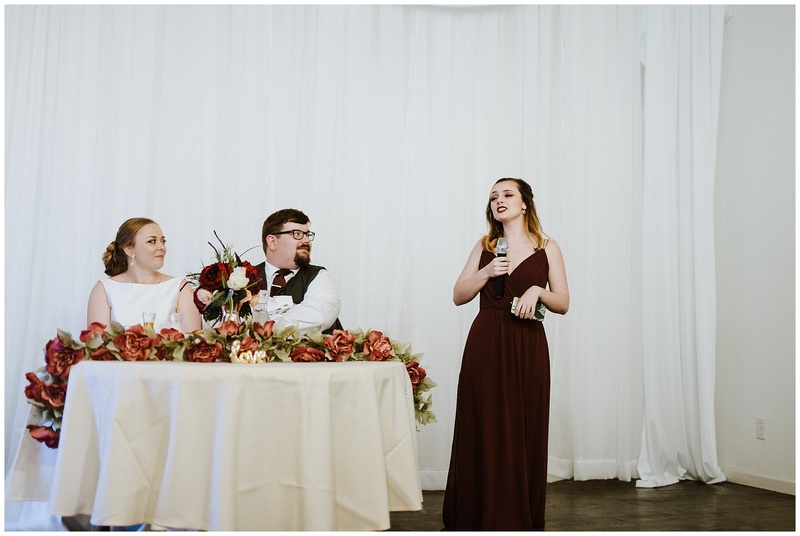 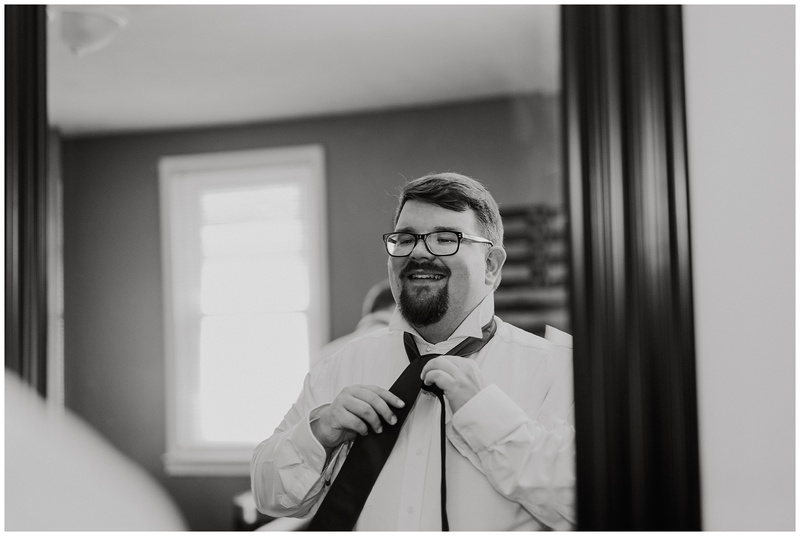 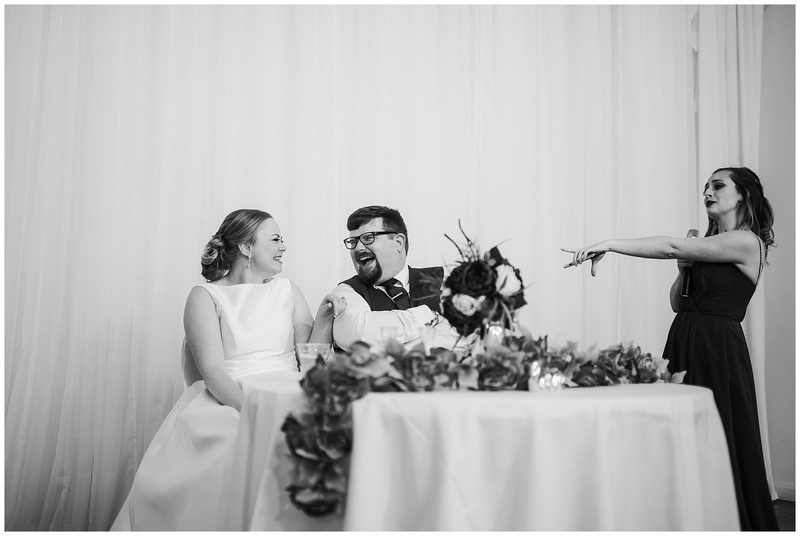 I really did have a good time at this wedding because it didn’t feel stressful or rushed really…it just felt like we were there to celebrate. 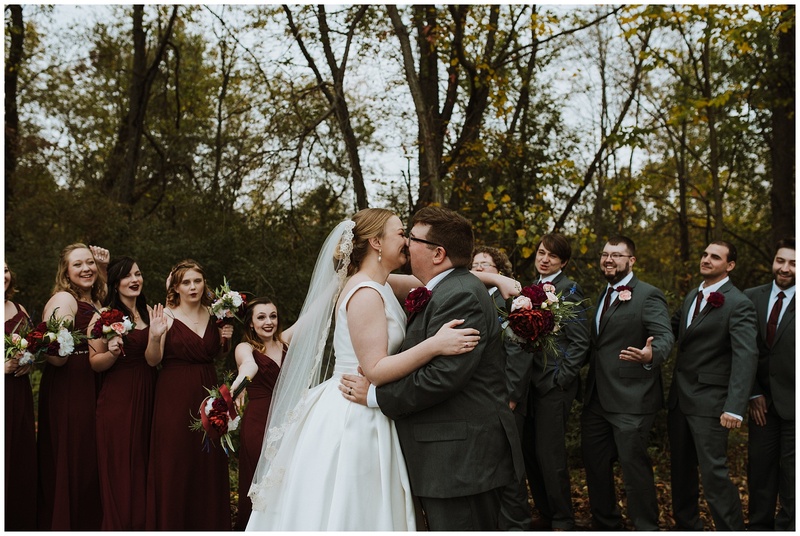 I could tell everyone else felt the same way and were just excited to be there. 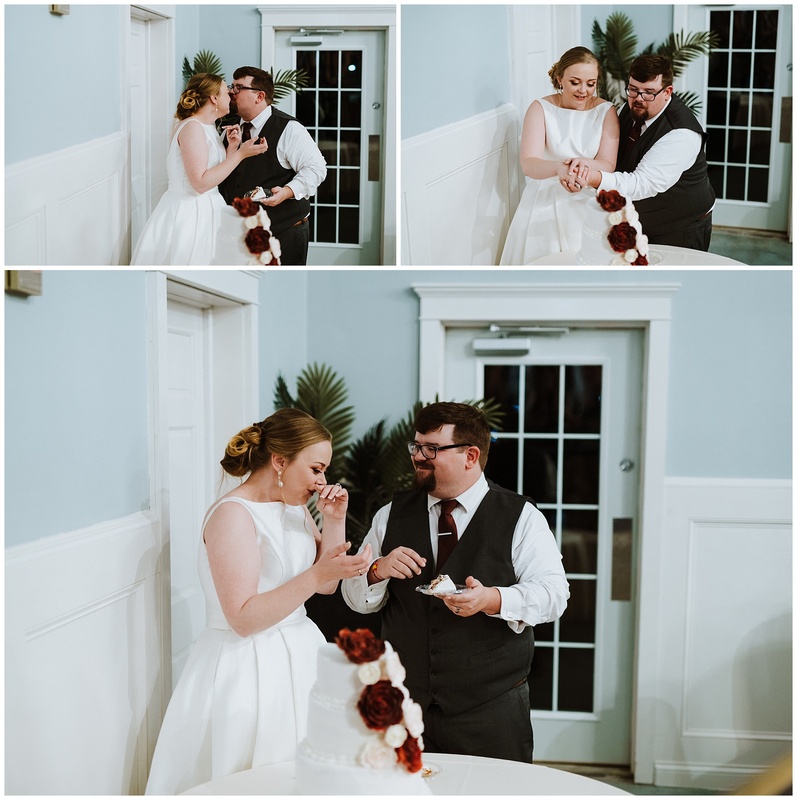 Also, the carrot cake was delicious…probably one of the best wedding cakes I had last season — and I attempt to try them all if possible because at what other job can you eat cake every weekend? 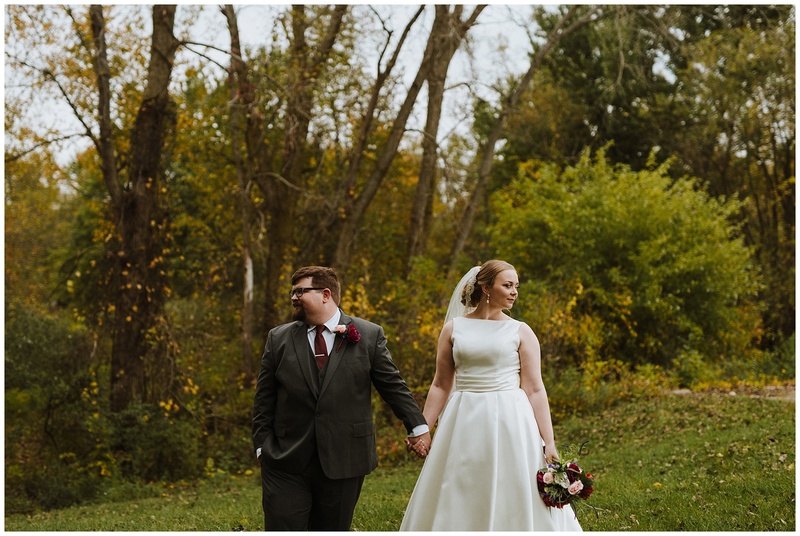 Every time I look back at these photos, and their engagement session let’s be real, I’m just so grateful for clients that really trust me to create at their weddings. 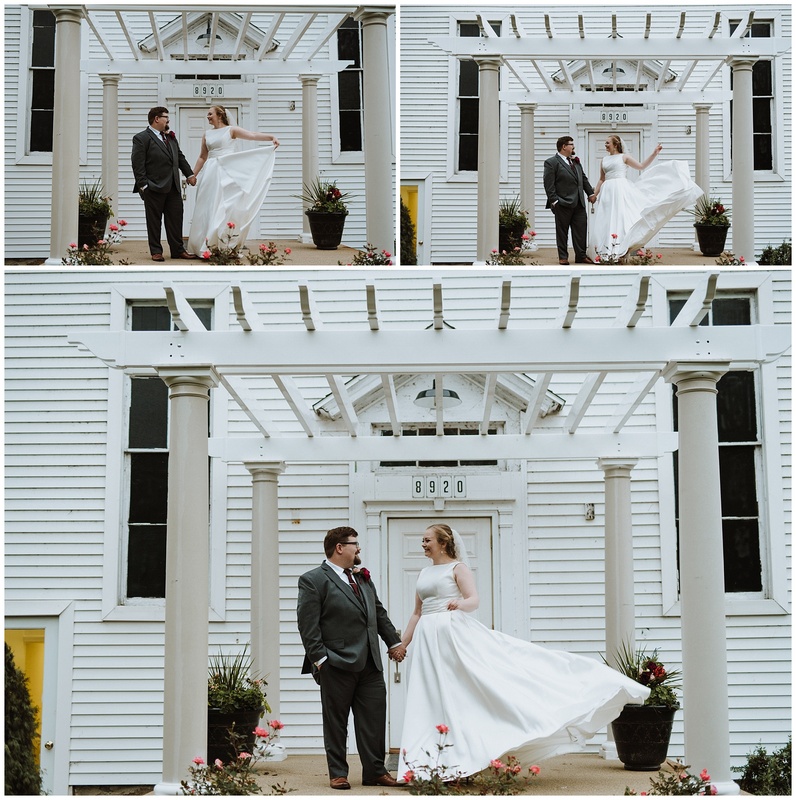 Heather and Matt told me they loved the details, they wanted candid photos that felt like them. 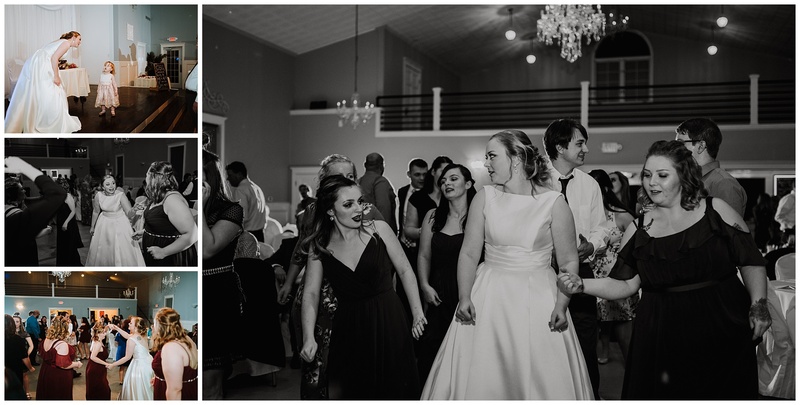 And when I look at all of their photos, I can feel their goofy selves seeping through. 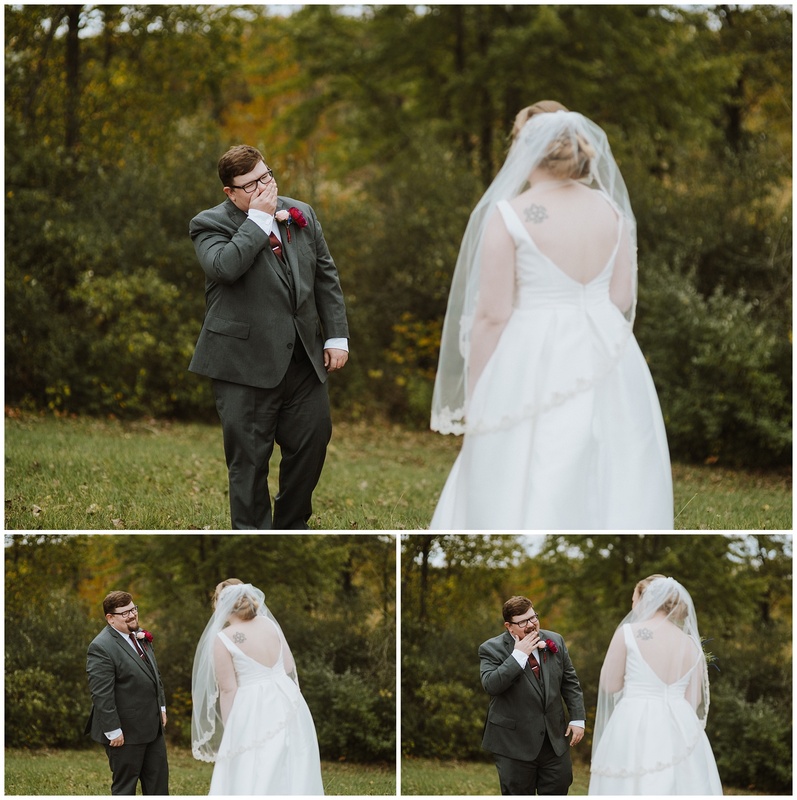 I LOVE that. 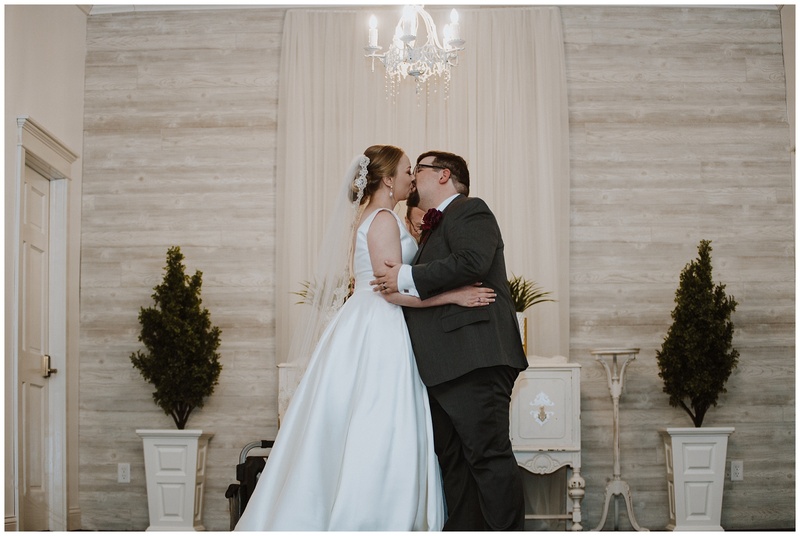 Anyways, I’ll stop gushing over them and their Graham Banquet Center wedding and let the photos speak for themselves.